We take the pleasure of welcoming you to our travel department that handles all you Domestic and International travel in Uganda. Being a travel agent, we are responsible for clients’ most cherished moments; we take pride in the reputation we have gained over the past for Quality, Honesty, Reliability and Good service. We are able to negotiate exceptional Hotel rates, Airline fares, for our clients and Agents. To support our operations, we have well-maintained and comfortable vehicles run by multilingual and well-experienced drivers. Our service is available round the clock and is accessible 24×7 or you can communicate with us through our Travel desk on Tel No +256-782331688 / 712413350; for urgent enquiries. Relationships with suppliers can also be used to obtain up-to-the-minute knowledge of any events, as well as leverage to ensure that Abeam Safaris travellers take precedence wherever and whenever possible.We also have staff on the ground with proven experience of over twenty years, in delivering exceptional service, even when faced with the most difficult of circumstances. We will give the client advice; design the most convenient, affordable on any airlines of their choice, register you for benefits that are available- mileage benefits, baggage allowance cargo. We have a GDS Amadeus System which aids us to make online reservations and Issuing tickets for both domestic/ International travels. We will get you competitive fares for individual’s missionaries / NGO special / flexible fares, groups, students. With the help of the reservation system Amadeus, wereserve for you International and National Hotels, Luxury, Medium, and budget; while keeping in mind your budget. We have a fleet of classic luxurious cars for VIP’s ranging from Mercedes Benzes, Lexus; BMW’s and land cruisers, to exhilarate you. We also have hire a luxury saloon for an important business engagement or rough terrain vehicles like the land rovers, the Land cruise HZs, super customs, Safari custom built vans, Omnibuses and Buses for your airport transfer and any transport needs. We help client’s process passport. We provide hands on knowledge for visa processing. We help the client apply for USA, Europe and other parts of the world online and secure appointments. Should the embassy, consulate be found out of the country; we will help our client courier your documents. We organise honey moon packages in the wild, beaches and other discreet places that the love birds would love to go to all over the world. 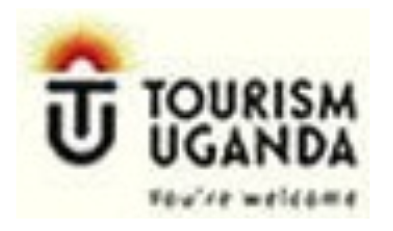 Charis Uganda Safaris was incepted with an objective of offering a versatile range of Luxury, Medium, and Budget Tours, Events management, ticketing, visa arrangements Car hire, logistics, Tour & travel related Services and Hotel reservation; for both the able bodied and physically challenged. P.O BOX 20 Ntinda; Kampala, Uganda.